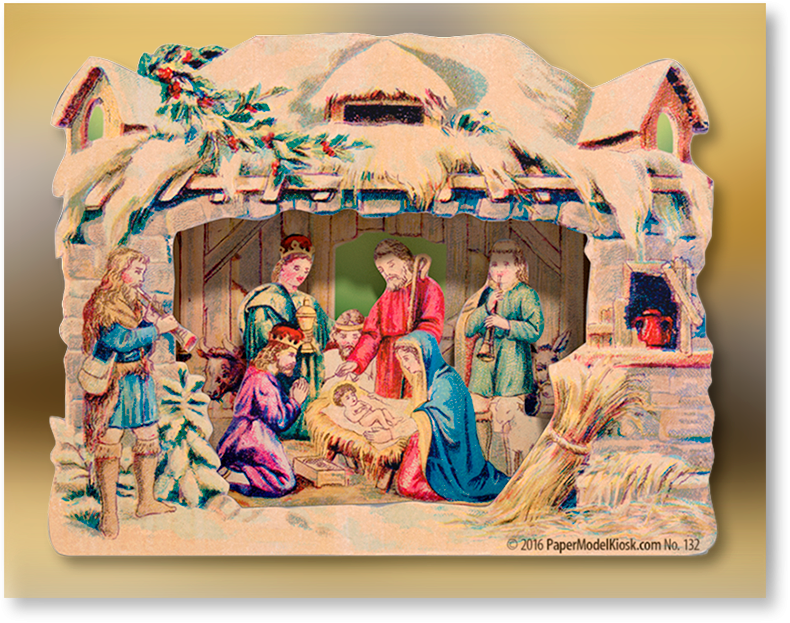 Charming, easy to assemble, and free--the Holly Miniature Nativity. What about the age of this delightful miniature? We believe it to be over 70 years old. 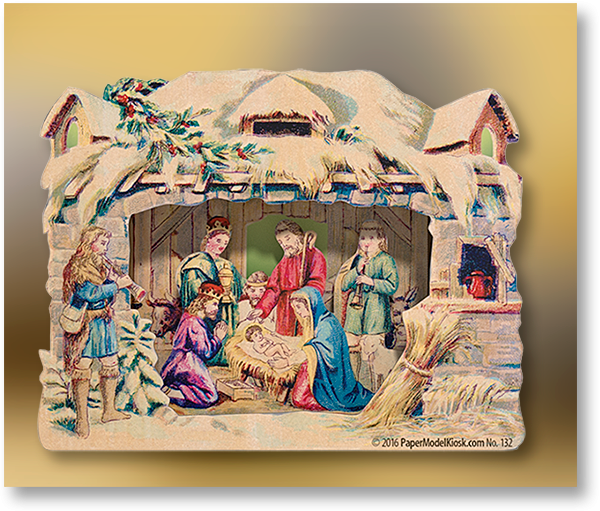 Thank you so much for this beautiful Nativity. Thank you, Patrizio — and thank you Celso! 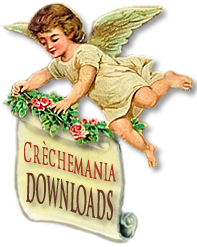 With his best wishes, Celso Battistini C. Rosa offers a lovely miniature Free Download. Easy to cut out and assemble, it'll look at home on your tree or in your decor. Thanks, Celso! Size: 4.75 x 3.75 x 0.75 inches.